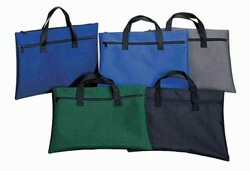 Letter-size document carrier with front zipper closure and double webbing handles. Compact enough to use on its own or as an extra storage pocket inside the main briefcase. Best choice for the budget mind.